Astronauts aboard the International Space Station typically spend no more than six months in space before returning to Earth. 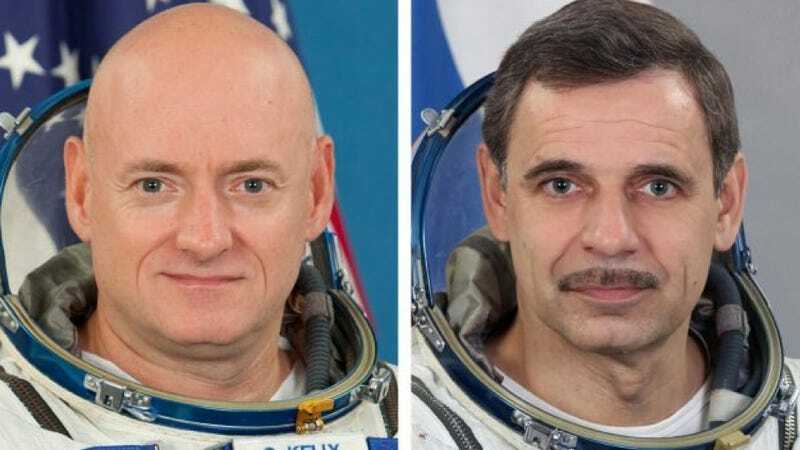 But in spring 2015, NASA astronaut Scott Kelly will begin a yearlong sojourn aboard the orbital outpost — a voyage which, if successful, will become the longest spaceflight ever performed by an American. "Their skills and previous experience aboard the space station align with the mission's requirements," said William Gerstenmaier, associate administrator for Human Exploration and Operations at NASA Headquarters, in a statement. "The one-year increment will expand the bounds of how we live and work in space and will increase our knowledge regarding the effects of microgravity on humans as we prepare for future missions beyond low-Earth orbit." Suit up, people — word is we&apos;re heading back to the Moon. Read more over at NASA.